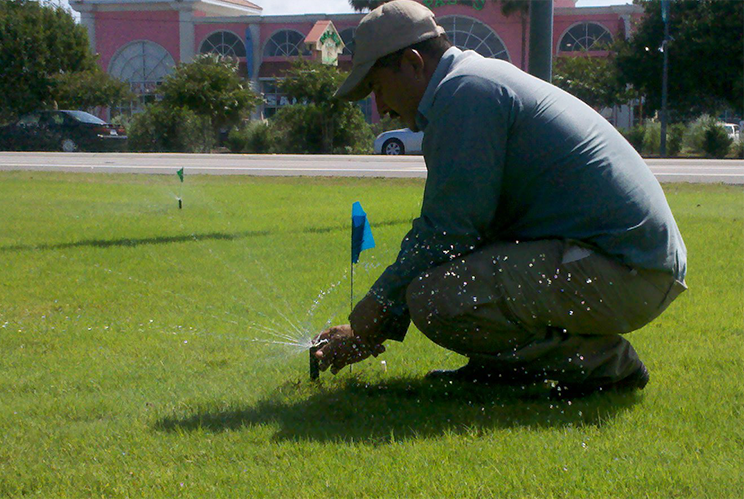 Irrigation system design, installation, maintenance, troubleshooting & audits. Did you know that Landscape Irrigation Systems use 50% or more of the water provided by most utilities? This means that if your system is poorly maintained, a large amount of this water is wasted, due to the fact that it never actually reaches its destination. Landscapes Unlimited has the experience to design & install efficient systems as well as retrofit existing systems in order to improve efficiency & conserve water. Our experts are also skilled in troubleshooting and repairing existing systems. Audits can be performed on your system through a series of data collection, which enables us to calculate the exact amount of water your landscape requires. The ultimate goal of an audit is to ensure your lawn & ornamental are being watered properly while conserving water and saving you money. Landscapes Unlimited offers low voltage landscape lighting installation as well as service, repair & troubleshooting on existing systems. Uplighting, path lighting, moonlighting, you name it, we can design & install it.. the right way!